Yes, you read that correctly. I have a new boat! Well, new to me at least. 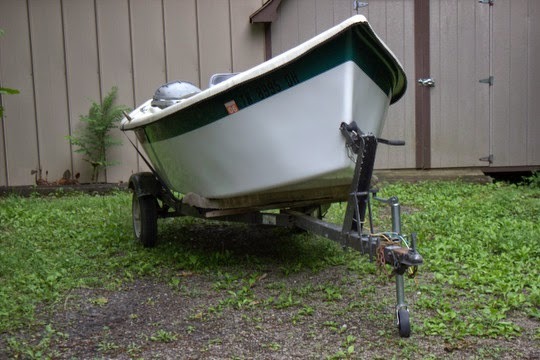 While not a brand new boat, this beauty is in extremely good shape and will bring many pleasant days on the water for both myself and any lucky anglers who choose to fish with me. 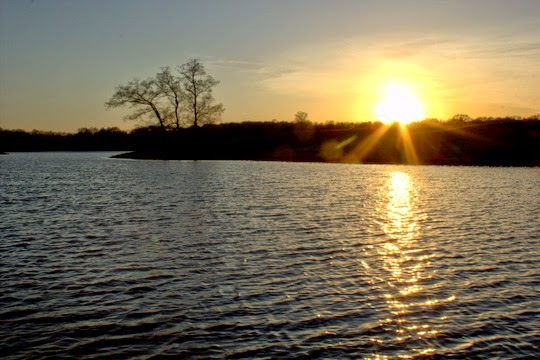 If you are interested in a day of drift boat fishing, please head over to Trout Zone Anglers to explore your options. Fishing around middle and east Tennessee continues to be phenomenal. 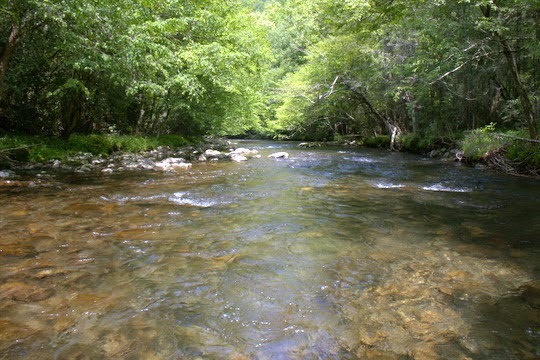 The Smokies are really fishing well and the tailwaters are doing great also. 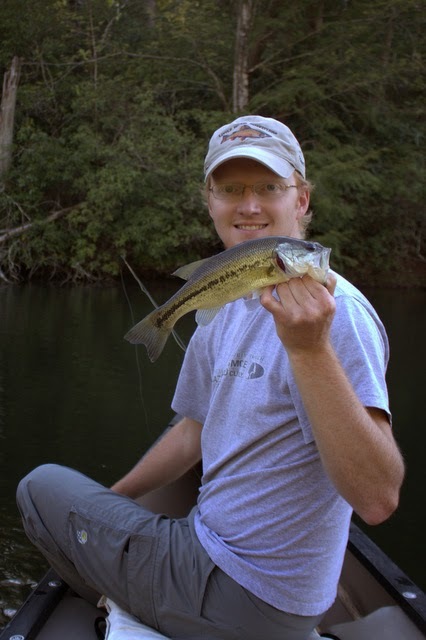 The Caney is fishing about as consistently as you can ever see. However, I'm not fishing this weekend. Yes, you read that correctly. While everyone else is out enjoying the long weekend, I'm not getting out to fish. That is because I hate crowds. Fortunately, all of the reports I'm getting from people still indicate great fishing so I guess no one is suffering out there. So, my question is "where are you fishing this weekend?" Since I'm not fishing I need some good fishing stories. Help me out! 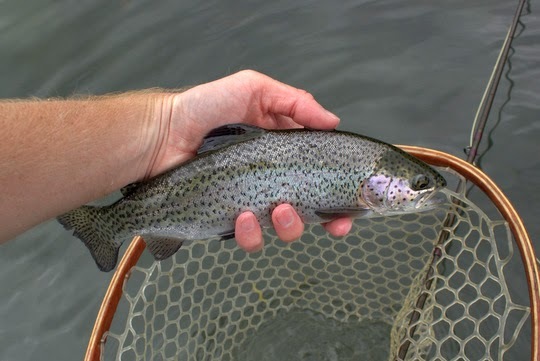 Have you ever gone fishing and had a fantastic day of catching your intended species only to come across a fish that is quite different and decide to try for it as well? That is one of the amazing things about tailwaters, the variety that is. 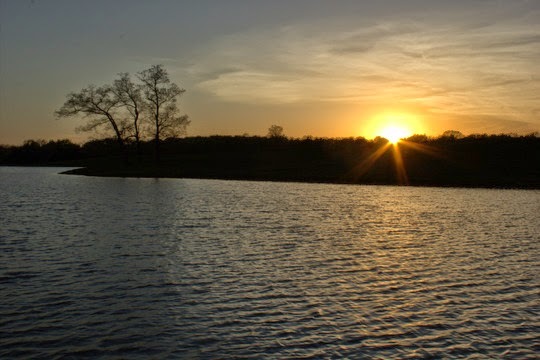 You can fish hard for trout all day and then find that one 4 pound bass or 15 pound carp and fish for that as well. Maybe you even get a shot at a striper later on as well. When I'm striper fishing, I sometimes have lucked into trout and even some walleye. In other words, on a tailwater you just never know what you will find. 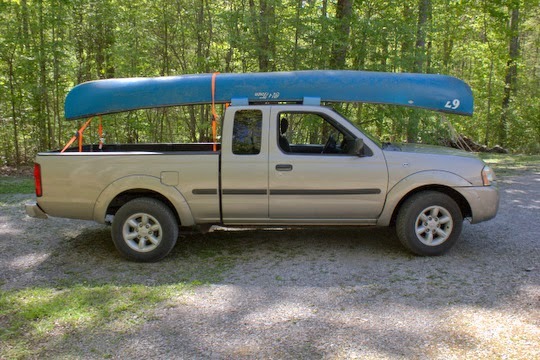 Yesterday I headed down yet again to the Caney Fork yet again to get some trout fishing in and check several different spots on the river. Scouting the water is about as important as actually fishing and this trip was intended to include both. After all, when heading out on a guide trip, it is essential to be in touch with what is happening on the river. My basic research was just locating fish and the best places to land both numbers of fish and quality fish. 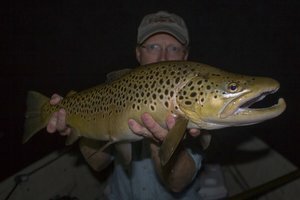 The morning's highlight occurred when I saw a big brown charge into a pool full of small stockers and eat one or two while I was fishing for them. Yes, my heart rate is still a bit elevated, but that is the beautiful thing about fishing trips; you just never know what is going to happen. 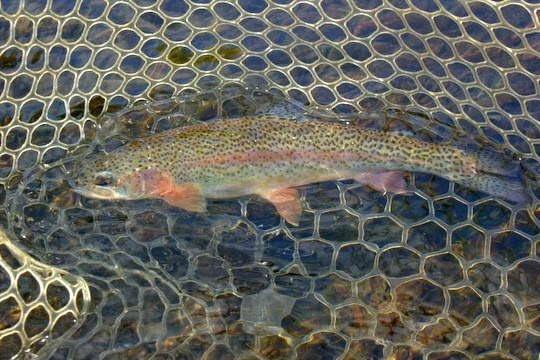 After calming down enough to actually fish, I worked a favorite section pretty hard and found a lot of chunky rainbows. 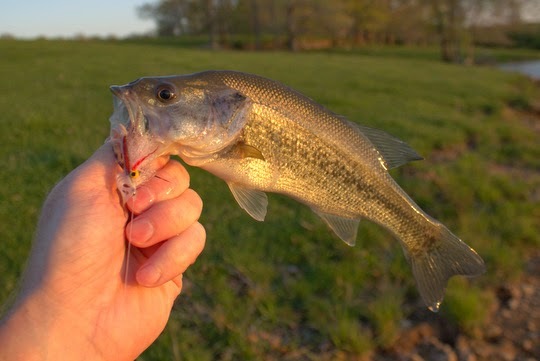 These fish are super healthy right now and providing great nonstop action if you have the right flies, the right depth, and a knowledge of where to use them at. A little after noon, my buddy Tyler and I headed back to the car for some lunch as well as some air conditioning on the ride down to our next spot. When we got to the next spot, things continued about the same as before. In other words, we were both catching a lot of fish. The insects were varied on this day and the occasional caddis and cranefly kept the fish looking up. 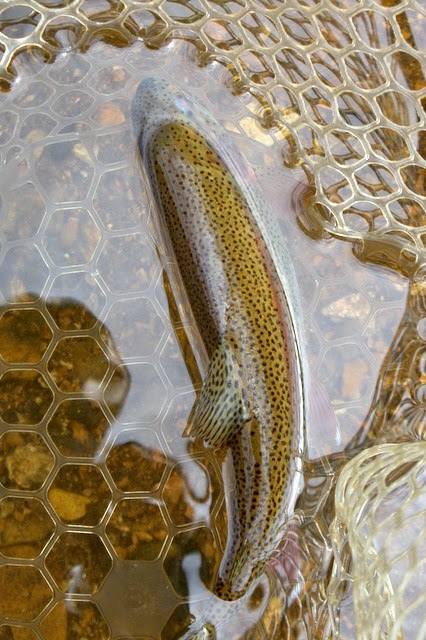 Our dry flies were getting enough action that we never switched over to an indicator nymph rig, preferring the dry/dropper method instead to cover our bases. Eventually the heat and sun took its toll, and I was ready to call it a day. Heading back to the car, I stopped at a spot where there are usually some carp and buffalo hanging out. 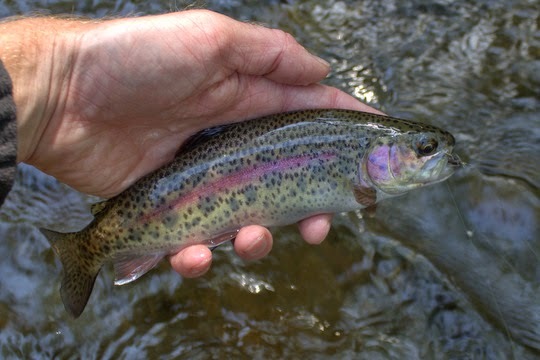 While this was definitely a trout trip, I had no problem at least looking at other fish. Of course, you can guess where this eventually took me. Upon seeing all those carp, I naturally had to at least cast a couple of times. I've fished this spot and a couple of others nearby many times over the years. In fact, given the opportunity, I would rather catch at least one or two carp on each trout trip. Not that I'm ready to turn my back completely on trout. Its just that carp are some of the toughest fish you will ever fish for. Being a carp fisherman automatically makes you better at catching other species as well, trust me. The crazy thing about this particular spot is that while I've put in my time to attempting to catch these fish, I've never really had any success. Oh, I've caught carp other places on at least a couple of different rivers, but these particular fish had always outsmarted me. So here I was casting to fish that I could see just fine but really didn't expect to catch when lo and behold one of the fish ate! Seriously, it was all so easy that I pondered momentarily why I hadn't caught one before. Then the fish realized it was hooked. 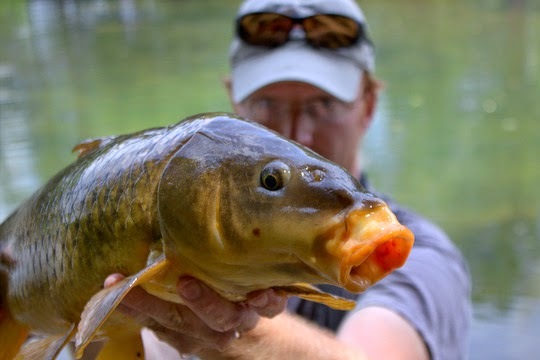 If you've ever hooked a carp, even a small one, on 5x, you know how I felt as this fish started running directly away from me for a underwater log. I really had no chance, or at least that's how it felt. By some miracle, the fish always came out on the right side of those logs. All the pressure I thought the tippet could handle was brought to bear. Once the fish ran under another log and only came back out when I kept muscled it back. I know, it's hard to believe all of this happened on 5x, but in the end, the best moment of the day came when my buddy slipped the net under the finally tired fish. A couple of pictures later and the fish tore off back to its pool to rest up for our next meeting. If I lived close by, I would chase these fish all the time. Seriously. They are that much fun. Every one I've caught has been memorable. 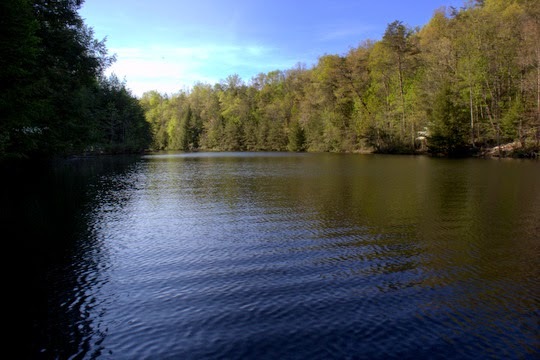 Oh, sure, the trout fishing was awesome too, and I wouldn't trade it for anything, but as an afterthought, those carp sure provide a lot of fun! 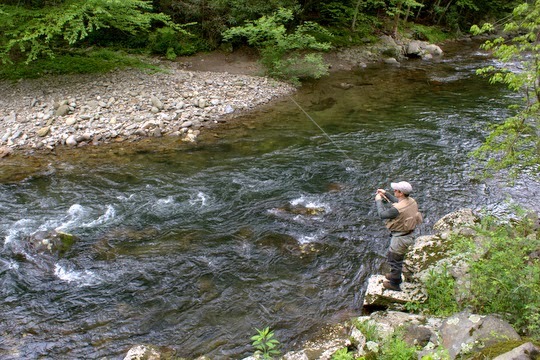 If I can help you with a guide trip to the Smokies or the Caney Fork tailwater, please contact me. I'm not booking trips through July. 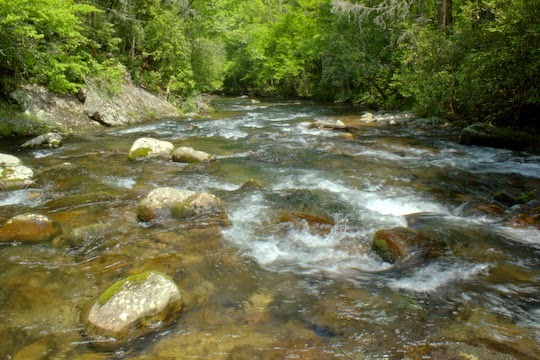 Today I returned from a quick camping trip with my buddy Joe to Elkmont in the Great Smoky Mountains. We fished a wide variety of water and caught a lot of nice trout. I'll get a full report up in the next day or so but just know that the fishing is great right now. 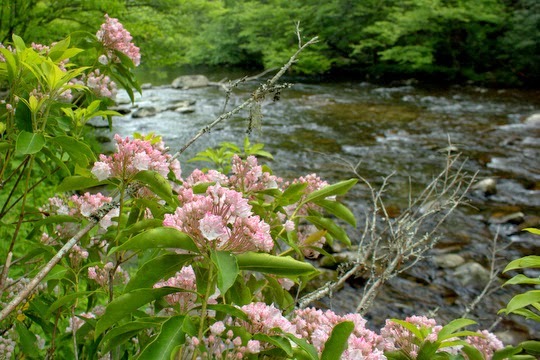 The first Mountain Laurel blooms of the year are making an appearance now, and I found some nice ones along Little River while fishing on Sunday morning. Finally, the high flows are abating on my nearest tailwater. The fishing should be good now although with the low flows and nice weather expect to see a lot more people out on the water. 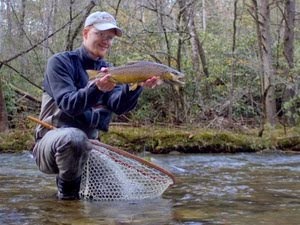 Thankfully there are lots of options including smallmouth bass streams and the wild trout streams of the Great Smoky Mountains and the rest of east Tennessee. 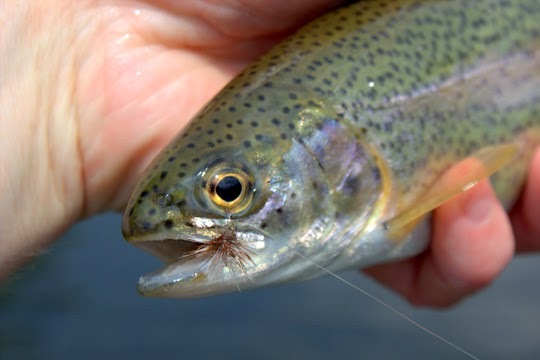 On the tailwater scene, the usual flies are getting the job done. Midge fishing is coming on really strong and we will begin to see some dry fly opportunities as we head into summer. Sow bugs and other nymphs will pick up some fish in addition the the usual midge patterns. 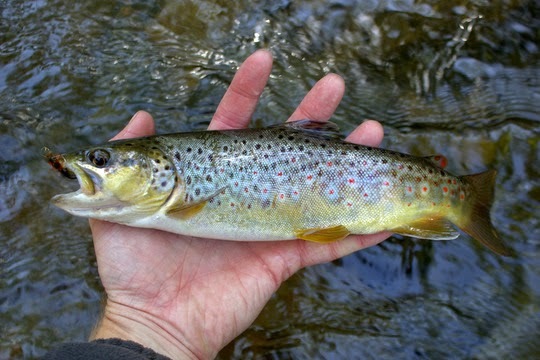 The lower Caney Fork is seeing a few bugs hatching including some Light Cahills and Sulfurs. These are generally only sporadic hatches but they can get the fish interested sometimes. 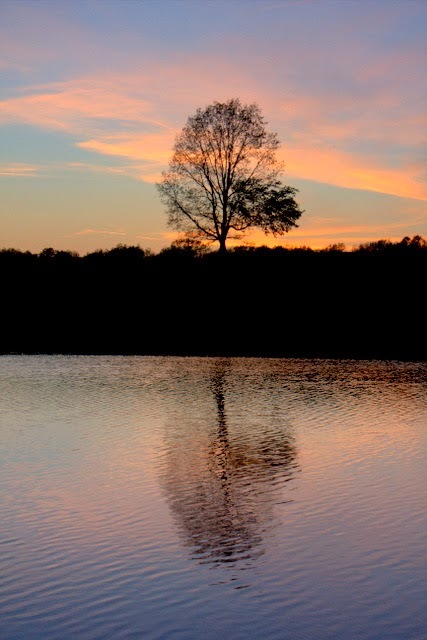 The other day I stopped by the Caney Fork on my way home from Nashville. The fishing was excellent during the 3 or so hours I fished. Fish were feeding on a variety of flies and were in great shape. There was a good range of sizes from about 8 inches up to 14 inches so we have a good mix of fish. 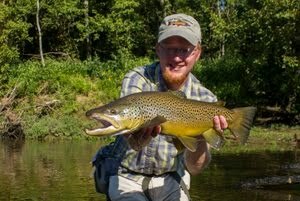 The majority of the fish were rainbows but I did manage a few browns as well. If you need any help or advice or would like to set up a guide trip, please feel free to contact me. Perhaps you have noticed that I haven't been posting for the past few days. I have been spending the last few days with my girlfriend and have not been doing any fishing. 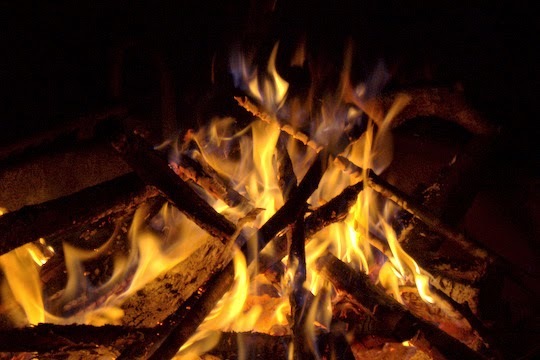 I do still have some warm water reports to get caught up on and will have a ton more coming later this week and next as I have guided trips, a short camping trip with my cousin, and another camping trip with my buddy Joe. In between all of the excitement, I do still have some availability if you are wanting to set up a guided trip. 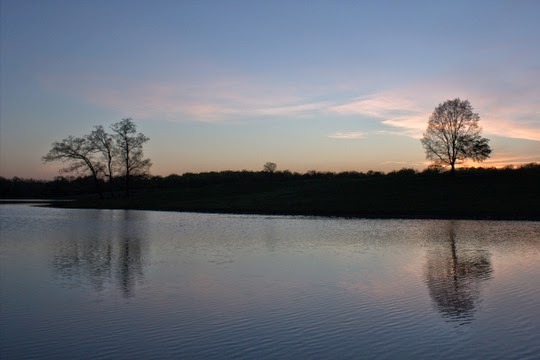 Next week I have Wednesday, Thursday, and Friday available if you want to get in on the excellent spring fishing that we are now experiencing. 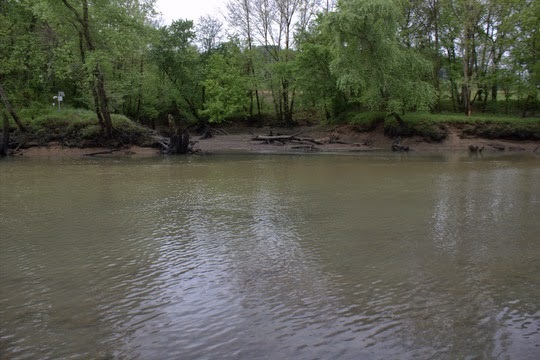 The Caney Fork is starting to give us some wading options again so if you want to learn how to fish and approach this excellent tailwater contact me to check out the trip options. Finally, happy Mothers' Day to all the great moms out there and especially my own! Thanks for all you have done for me!!! This is the first of what I hope will be quite a few video projects showing patterns that I tie. Some are my own while most are existing patterns or my adaption of existing patterns. For the first one I chose to demonstrate one of the easiest Yellow Sally patterns I know of. 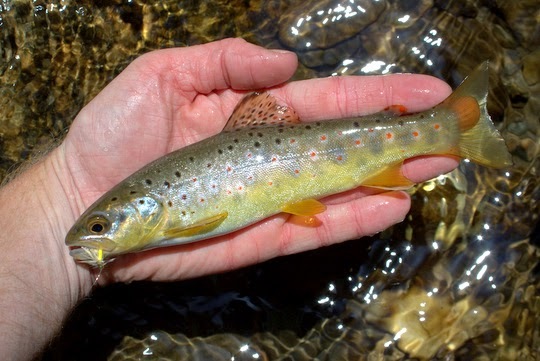 This time of year sees the first hatches starting in the Smokies and as the summer goes on, this little insect will be important on many waters across the country. Try it out, but even better, once you've tried it start experimenting. There are some great variations that can be done with this simple pattern. 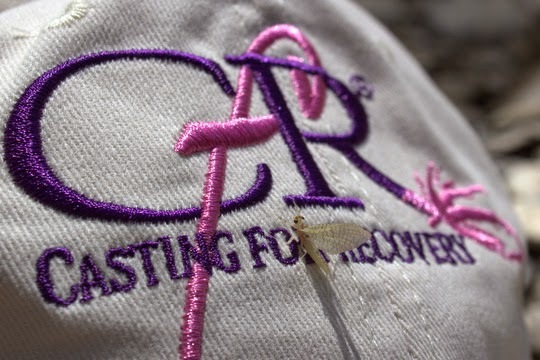 A couple of months ago, my friend David Perry contacted me about helping out with a great cause, Casting for Recovery (CFR). 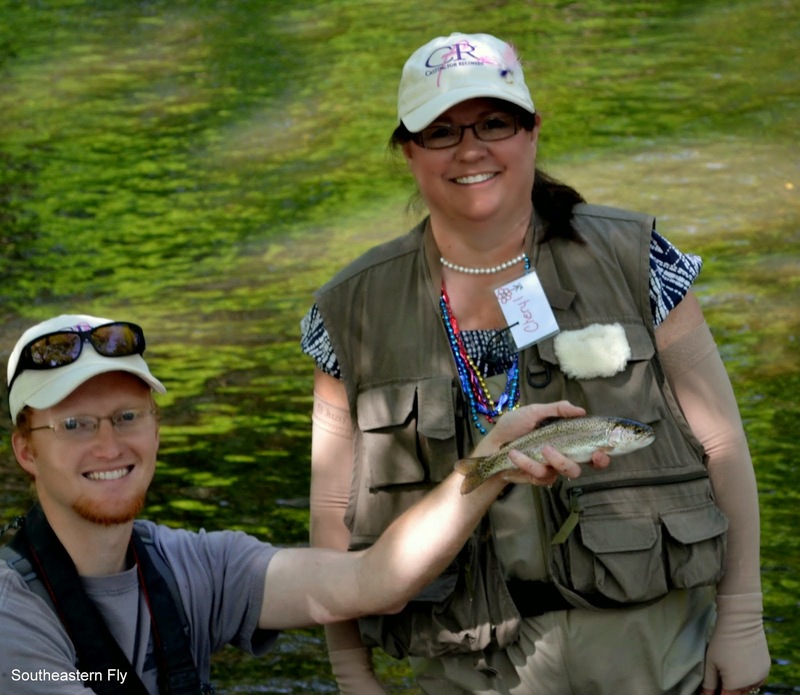 Put on locally by the Music City Fly Girls, CFR is an opportunity for breast cancer survivors to try out the sport of fly fishing while enjoying a relaxing weekend retreat with others who have experienced breast cancer. The last day of the event was the on the water day where each of the ladies would be paired with a guide and given the chance to hopefully catch some fish. Fast forward to yesterday, and I found myself getting up at an unearthly hour to make the drive over to the Duck River below Normandy Dam. The drive over was mostly uneventful other than the random cop that decided to come out of nowhere and terrorize me for a minute or so by riding my bumper in McMinnville. After my heart rate came back down to normal and he had pulled off somewhere, I was back to the races, trying to make it to the event site by 8:00 a.m. At least I would have had a good excuse for speeding if he had pulled me over. Once I arrived, I was surprised to find out how small this tailwater is. I'm not sure what I was expecting but this is a small stream compared to other tailwaters I fish. 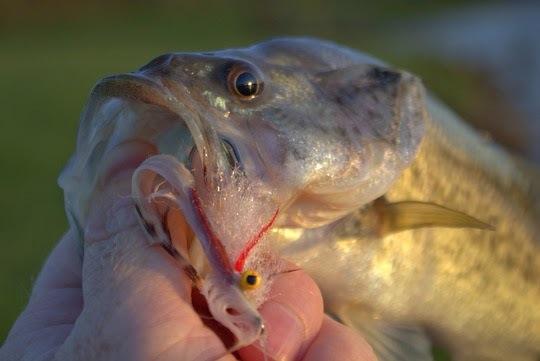 Small is good though when it comes to putting people on fish who are new to the sport. 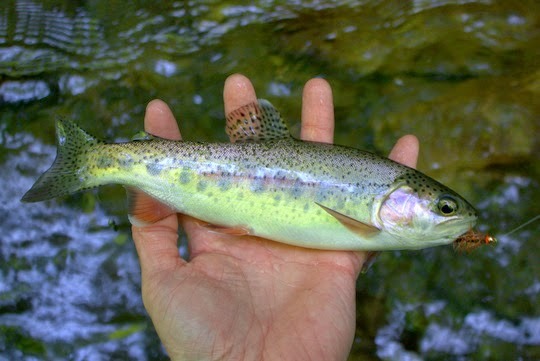 Trout were rising to a healthy caddis hatch and the occasional Light Cahill and even a Sulfur or two. We had a delicious breakfast prepared by the Music City Fly Girls and got a nice CFR hat. 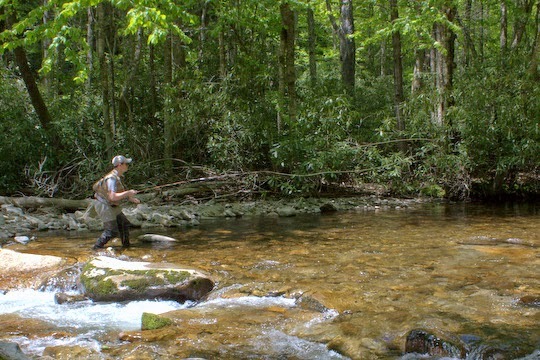 Eventually the ladies showed up and we headed down to the stream to fish. The lady I was assigned to was pleasant and we quickly hit it off. Once we got on the water, we covered some basic casting to reinforce what she had learned the previous day and then started working one of my favorite patterns for stocked rainbows through a good looking run. Only a couple of casts later, she hooked her first fish! Okay, so it was just a chub of some sort, but we were still glad to see a fish. 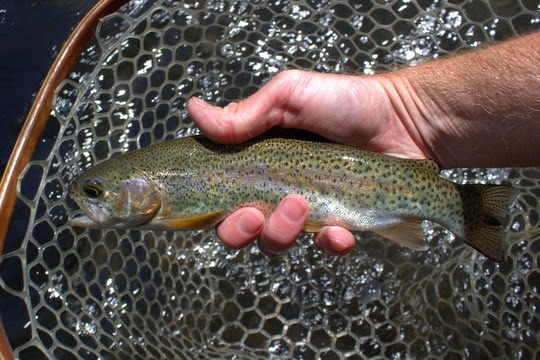 Not long after, we started catching trout, and missing trout, and catching some more trout. She did a great job and finished the morning with close to 10 trout. Not bad for a first timer on the fly rod! After the fishing excursion, we headed in for lunch and a short program. There, the lady I had been working with was the lucky recipient of a CFR fly rod and reel combo! The day couldn't get much better, and by the time I headed home, I was tired, but also happy to have been a part of this great event. Special thanks go out to David Perry for inviting me to help and the Music City Fly Girls for putting on such a fantastic weekend!!! The spring fishing is finally settling into a predictable pattern and this next week is looking perfect. 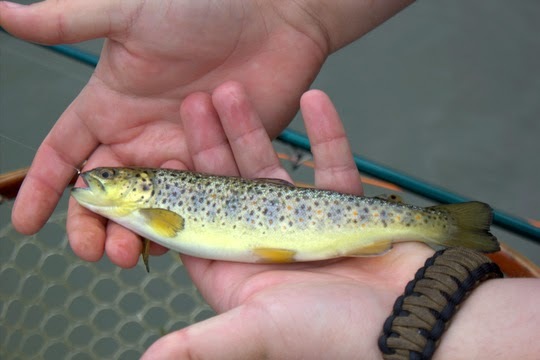 Trout are active and looking up for a good number of their meals although fishing subsurface will sometimes be best for overall numbers. 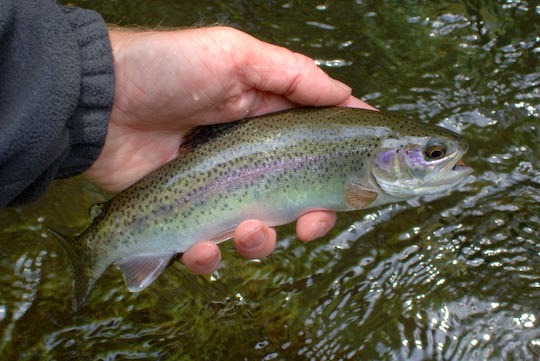 May is the one month of the year where anglers will likely catch more fish on dries than on nymphs. 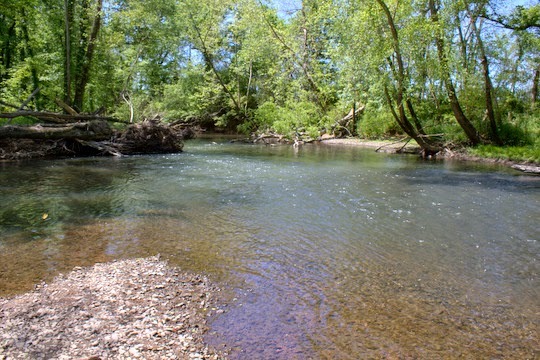 In fact, my best day on Little River ever was in May, and I caught all my fish on dries. If you are visiting in the area and would like to set up a day to get out on the water, I still have a couple of days available this week, specifically Monday and Tuesday. Please head over to Trout Zone Anglers or email me if you want to set up a trip. 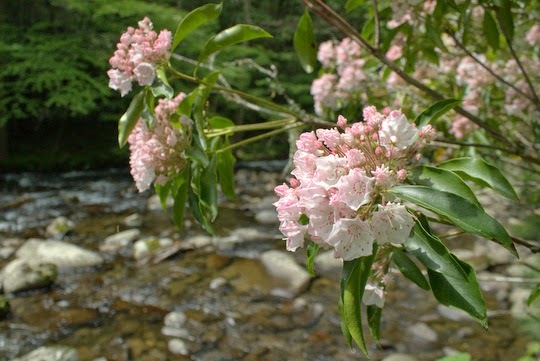 If you are willing to hike, the Smoky Mountain backcountry is at its best right now. 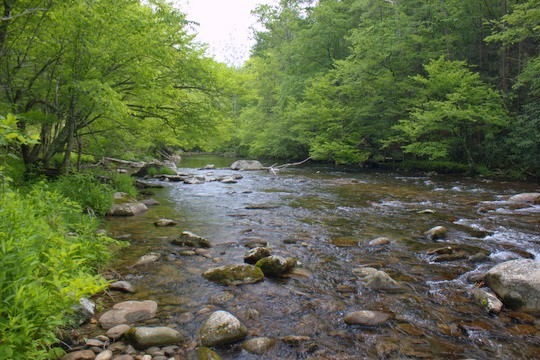 An easy 3-4 mile hike (easy meaning no major elevation gains/losses) can put us on lots of willing fish or if you want to hit up some brookie streams we can do that as well. Being a tailwater fisherman can be a roller coaster from joy to disappointment and back again. Hours are spent poring over forecast rain amounts, then analyzing actual rainfall totals during and after a precipitation event. If you live out west then you might spend your winters checking out the latest Snotel information to see how the snowpack is coming along. Long term generation guidance is also consulted on a regular basis, all in an effort to figure out when your favorite tailwater might be fishable. Of course, in a dry year, all of this becomes unnecessary as anglers enjoy the rare opportunity to fish whenever and wherever they desire. Over the past few weeks, I've been checking the generation schedules daily, sometimes even multiple times a day. I guess I'm just optimistic. Maybe the schedule will change for the better, and of course, eventually it did. Unfortunately, the theme this year is that low flows signal the next round of heavy rain. Streams here on the Plateau shot up from around 500 cubic feet per second (cfs) to over 15,000 cfs over the last few days. One stream went from 70 cfs to over 3,500 cfs. That's a lot of water no matter where you live, and when you consider that 3,500 cfs is approximately the amount of water that one generator releases at a time on my favorite tailwater, it doesn't take a rocket scientist to figure out that many days of generation are on the horizon. All that water here on the Plateau eventually drains into the valleys on either side and into either Tennessee Valley Authority or Corps of Engineers controlled dam systems. As the major weather system this week started to really get cranking, my nearest tailwater finally cut back on the generation. I planned to fish Monday morning, but early day storms were already rolling in and prompting the first local tornado warning of the year. My fishing trip became a storm chasing trip, and I was stuck waiting for the next opportunity. Tuesday morning was shot as well, and Wednesday was the last day of low flows, my last chance to get on the water. 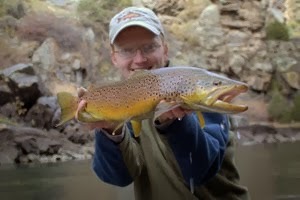 My friend Tyler, who has quickly become addicted to fly fishing, had never fished a tailwater before. I explained that the water would be cold but that people had been known to wet wade there before. He was all for it so we planned on when and where to meet. Wednesday morning couldn't come soon enough for me, and before long I had scarfed down a quick breakfast, made a sandwich, loaded my gear, and headed out the door. Tyler was on time and we were soon headed for the river. Upon arriving, I headed straight for a favorite run that requires less wading than some spots. After all, I knew Tyler was excited but if he didn't have to freeze then all the better. Driving along the river, the first thing we noticed was mud thick enough to walk all the way across the river on. On second glance, we realized it wasn't quite that bad but we definitely weren't going to fish in the slop. Back up the river we headed to the clear water just below the dam. Several other anglers were already crowded in the best spots (for easy wading that is), and I was concerned that Tyler was going to be stuck getting soaked and cold. One possibility remained and we headed down to a favorite spot of mine. Another angler was fishing just upstream but otherwise we had the water to ourselves. Showing Tyler a rising trout and explaining the process of mending and fly placement, I started downstream to get some fishing of my own in. Just as I was getting my own rod ready to cast, Tyler yelled as he hooked the first trout of the day. 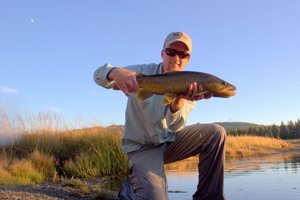 It turned out to be his first brown trout so I brought the net and camera for a quick picture. As I made my way back down the river he hooked another, and another, and so on and so forth. In fact, he soon lost track of how many he had caught. I found a nice hole and started catching a few of my own, and then more, until I was catching fish after fish as well. Over the next two hours, we never ventured far. Tyler didn't have to wade deeply to fish, and I was having some of the best midge fishing I've had in a long time. Both of us quickly lost count of how many fish we caught and even had several doubles as the fish were almost racing each other to get to our flies. Now that tailwater is pushing a lot of water down the river as the lake continues to rise. We'll be lucky if it is fishable anytime in the next two weeks and if we get more rain it will take a lot longer than that. A more realistic prediction is a minimum of 3 weeks but we'll have to wait and see what happens. When it does drop again, I'll be back looking for another fantastic day on the water. On our way home, we stopped to chase some bass, and I had my best bass day on this particular lake ever, but more on that a bit later.